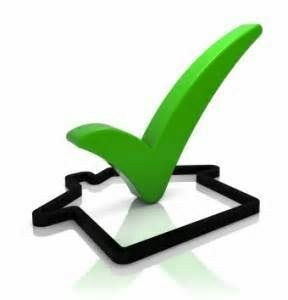 Get Ahead of the Game - Get Pre-Approved! Want to get ahead of the game in this hot rental market? Submit an application for pre-approval, then jump on your favorite home once it's available! 1. Apply in our office or online at zenithpro.com. Every person 18 years and older who will be residing in the home must complete a separate application and rental criteria. 2. Include copies of your ID, income information, and pet information (if applicable). For cats, we require a photo. For dogs, we require a veterinary record indicating breed and a photo. 3. Pay your application fee(s) online or in our office. The application fee per applicant is $55 and non-refundable. Once your fee(s) have been paid, we will send your applications to our screening company. Screening typically takes approximately 3 business days. Should you choose to pay online, we strongly recommend using the “express pay” option. This will allow your payment to pay out the next business day, rather than 3-5 business days later. For application fees in office, we will accept exact change in cash, debit/credit card, or certified funds (money order/cashier’s check). Once your screening has come back from Background Investigations, we will review it and either approve you, approve you with an additional deposit, or deny you. If you are approved or approved with an additional deposit, you will then be invited to place your security deposit on a home, making it yours. If you do not place a deposit on a home, once you are approved with our company, your application will be good for 120 days in our system. At that point, you are considered “preapproved”. When you are “preapproved” you will not need to reapply or conduct another screening within that 120 day period. You will simply need to inform us of which home you would like and provide us with your security deposit when you would like to secure it. As a side note, if you are preapproved, we may require updated paystubs or income information if you would like to provide us with a deposit after the first 30 days of approval. For homes that are advertised as “Available Now!”, our company requires you to sign a lease within 7 days of receiving your security deposit. For homes available mid-month, you are required to sign a lease at the earliest possible available date after receiving your security deposit. Please don't forget to read our rental criteria and pet policy before applying!